Fun for the whole family! Celebrate the holidays in a pair of Peanuts Christmas pajamas. You may also be interested in our review of the Peanuts Pajamagram family pajamas. A big THANK YOU to our supporters who purchase items through our links. Each purchase made gives a little back to CollectPeanuts.com to help create more great Peanuts content! If you find something special through our site, I’d love to see what you found! Share a photo on our Facebook page or send an email to info@collectpeanuts.com. Enjoy! Peanuts Christmas sleepwear and apparel for adults and kids. Peanuts Christmas sleepwear for the family. 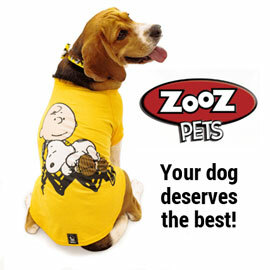 Peanuts Christmas designs on variety of sleepwear and apparel for adults, kids, babies, pets and more. Peanuts Christmas pajamas, sweaters and more. Peanuts pajamas, slippers, shirts for kids, juniors and men. Peanuts family pajamas in two styles for babies, kids, adults, cats and dogs. Peanuts sleepwear and kids apparel. Peanuts Christmas pajamas for the family. Peanuts Christmas shirts for adults and jammies for kids. Celebrate Christmas with Snoopy! Find the perfect Peanuts holiday gifts and decor with our Peanuts Christmas collectible featured finds.